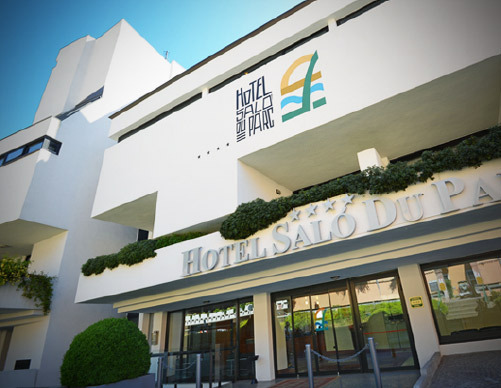 Built on the area where in the beginning of the 20th century used to be Salo’s Climate Institute, the Hotel Salò du Parc has its location hedged in the Gulf of Salò, capital city of the Lake Garda on the western shore. 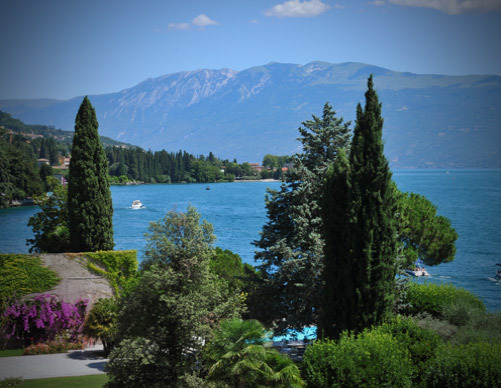 Renowned for its mild Mediterranean climate, Salò has always been through the centuries an important vacation and resort spot which accommodated illustrious figures coming from the world of politics and from the show business. 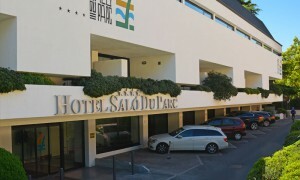 The Hotel Salò du Parc is a modern building located close to Salò’s old town which can be easily reached in a five minute walk. 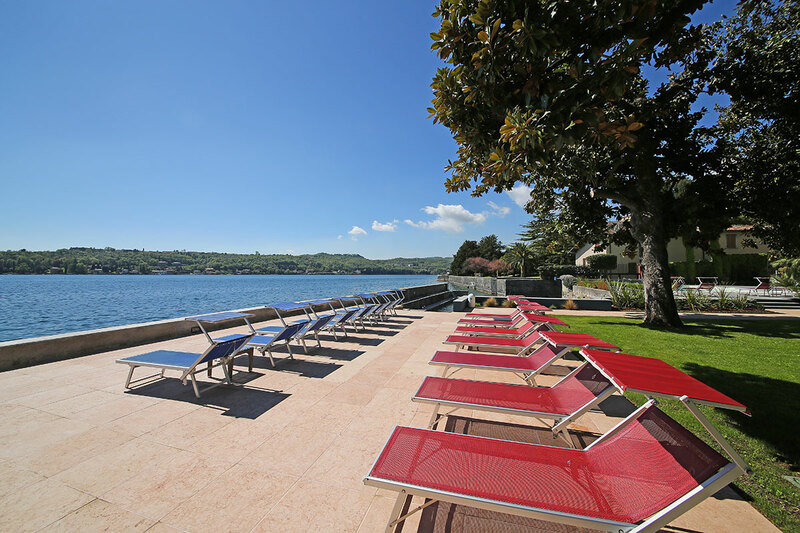 The car is therefore not necessary because every destination can be comfortably reached strolling along the promenade of Salò, which it is famous to be one of the longest and most romantic strolls of the entire Lake Garda. 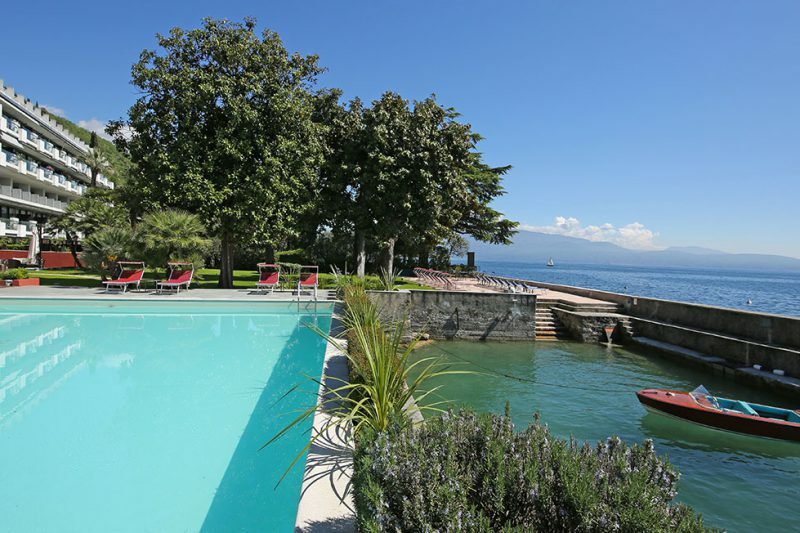 At our hotel it is possible to avail of a private dock to moor boats and motorboats with which you can start the uncovering of the main beauties of the Lake Garda. 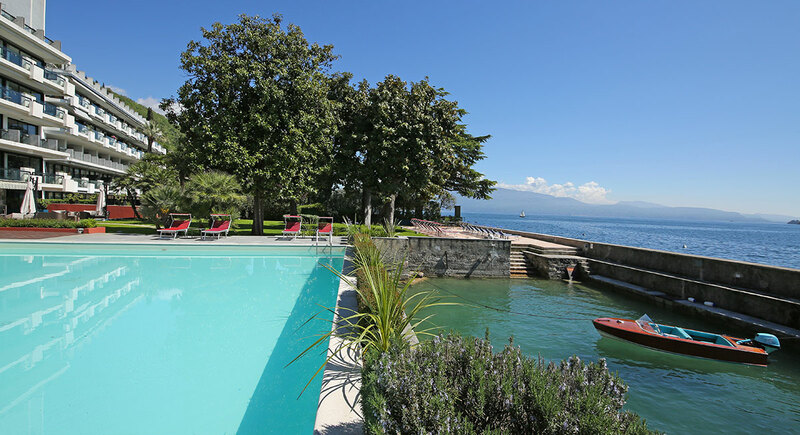 Set on the western shore of the Lake Garda, embedded in a centuries-old park with private dock for boat mooring, our hotel is the perfect destination for holidays dedicated to relax and comfort. 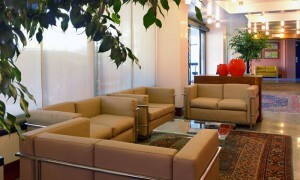 Every space of our hotel has been skilfully designed to make you feel comfortable. 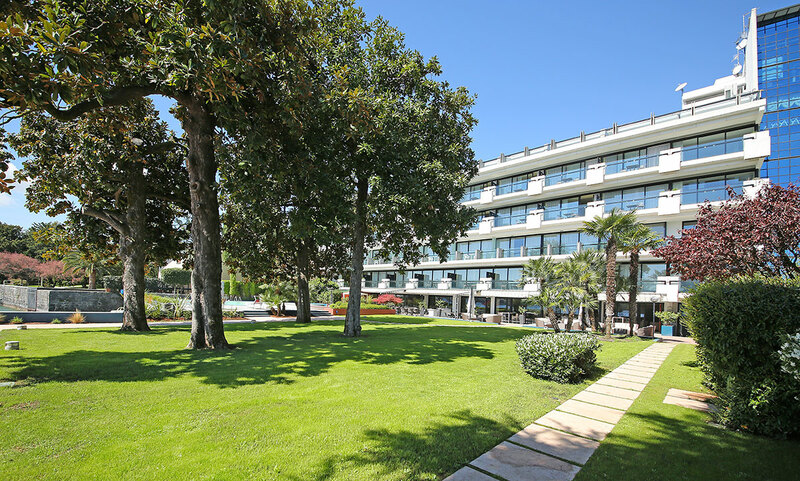 The staff will be able to offer you that touch of cordiality and competence in order to make feel you at ease and they will always be at your disposal for any eventually. Class and refinement are enclosed in a modern and lively location where the light of the lake floods into all rooms spreading warmth and joy. The shared areas of the hotel are finely furnished with local handicraft products and objects coming from the most exclusive shops of the lake basin. You will be able to abandon yourself to the way of things and times defined by the vacation in complete harmony between relax and nature. Large private dock for the mooring of small and medium size boats. 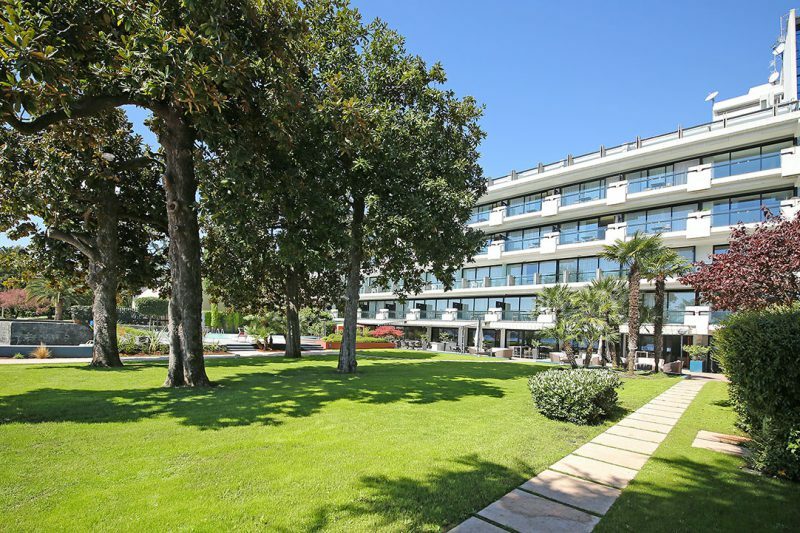 The hotel has some parking spaces directly at the hotel and offers secure, indoor/outdoor parking at a discounted rate for guests only 20 meters from the hotel. The cost of the discounted parking is € 15/day. The hotel offers wide bandwidth Wi-Fi for internet ensuring a high level of connection throughout the hotel. An internet point is available in the reception area. Praesent ornare facilisis nunc, sit amet hendrerit arcu dignissim id. Etiam hendrerit sed justo vitae consequat. Etiam malesuada libero sed purus rutrum gravida. Praesent ornare facilisis nunc, sit amet hendrerit arcu dignissim id. Etiam hendrerit sed justo vitae consequat. Etiam malesuada libero sed purus rutrum gravida. Praesent ornare facilisis nunc, sit amet hendrerit arcu dignissim id. Etiam hendrerit sed justo vitae consequat. Etiam malesuada libero sed purus rutrum gravida. Praesent ornare facilisis nunc, sit amet hendrerit arcu dignissim id. Etiam hendrerit sed justo vitae consequat. Etiam malesuada libero sed purus rutrum gravida. Praesent ornare facilisis nunc, sit amet hendrerit arcu dignissim id. Etiam hendrerit sed justo vitae consequat. Etiam malesuada libero sed purus rutrum gravida. Water is the primary element of our hotel. 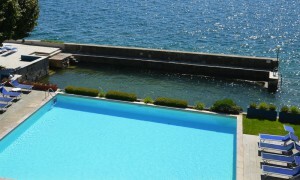 The lake water is the focal point from all angles of the hotel.